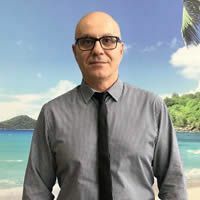 The 8 Day Northern Greece Tour is focused more in the Northern part of Greece where there was more of a Byzantine influence in the culture and ruins than in Southern Greece. 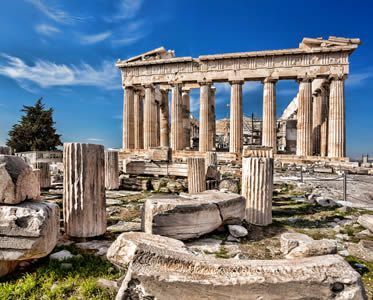 This tour starts with 2 nights in Athens with a sightseeing tour including the Acropolis and its museum. You then pass through Delphi to the monasteries of Meteora. 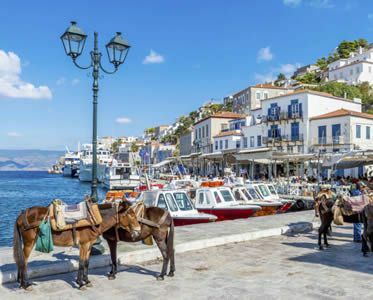 You will continue North and spend 3 nights in Greece’s second city, Thessaloniki, exploring this vibrant city and the ancient Macedonian surrounding regions. On your return to Athens you will pass by the foot of the mythological Mt Olympus. 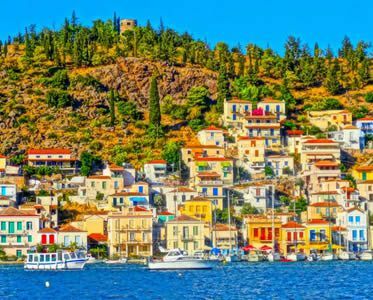 Athenian Riviera, Greek Islands or 1 Day Saronic island cruise. Lunch is not included within this tour. 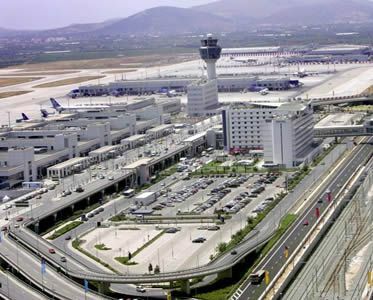 Arrival from your preferred UK Airport into Athens International Airport, where you will be taken by a private transfer to a hotel in Athens city. After Breakfast, you will be taken on an Athens sightseeing tour with a tour of the Acropolis and the new museum. 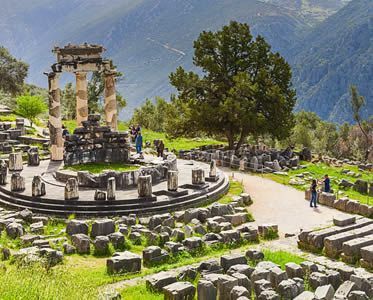 Depart through the plains of Boeotia region, passing through Thebes, Levadia and onwards to Delphi, where Ancient Greek archaeological sites can be found. 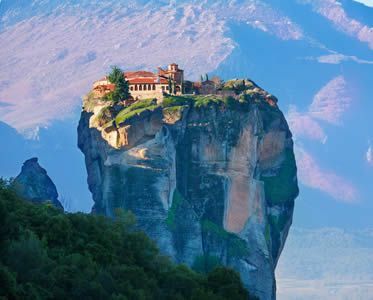 The tour then takes you on to Meteora, where you will have Dinner and an overnight stay in a hotel. 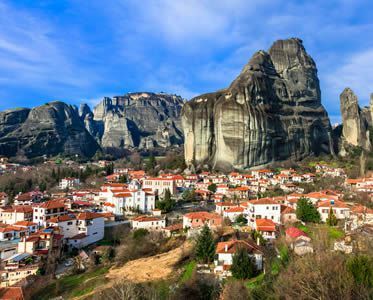 Visit Meteora’s ageless Monasteries perched high on top of huge rocks, see exquisite specimens of Byzantine art. 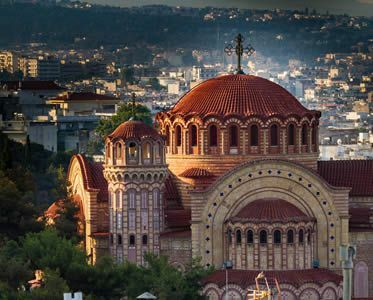 Depart from Kalambaka, drive through Thessaly and the Valley of Tempi, admire the gigantic figure of Mount Olympus, (the highest mountain in Greece) home of the 12 Gods in Greek Mythology, arrive at Thessaloniki (second largest City in Greece). Dinner and overnight. Morning visit to Thessaloniki which throughout the Byzantine Empire era, held the 2nd largest population only to Constantinople. Visit unique monuments, characteristic churches of the Christian world as well as Museum of Byzantine past. 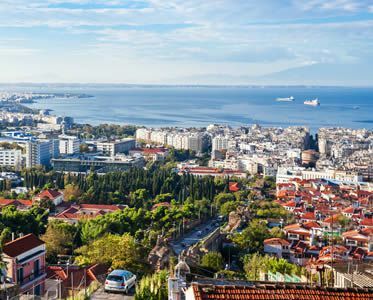 Rest of the day is at your leisure – with Dinner & an over night stay in a hotel in Thessaloniki. Depart in the morning for a unique approach to historical Macedonia. 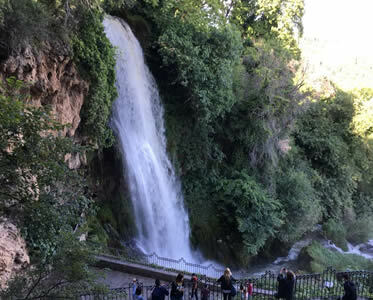 First stop at Edessa visit the town’s landmark – The Waterfalls. Drive onwards to Vergina (ancient Aigai) visit the unique Museum created in the Great Tumulus covering the royal tombs of Macedonia. 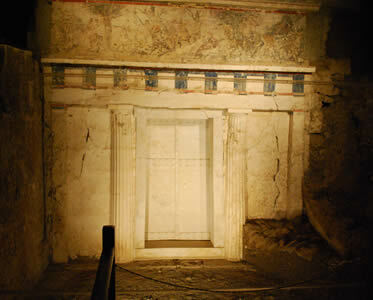 See the astonishing tomb of King Phillip II, Alexander’s Father. A few miles away is Veria (Biblical Beroea) to visit Saint Paul’s Bema, return to Thessaloniki. Dinner & overnight. 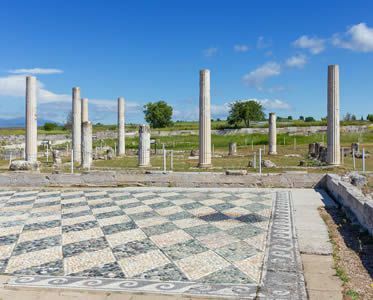 Drive to Pella, the historical capital of the ancient Greek kingdom of Macedon in the time of Alexander the Great. See exquisite 4th century mosaic floors & B.C. villas, & the new Museum. Then on to Archaeological Park, old Dion, at the foothills of Mount Olympus. Then you will be driven back down to Athens via Thessaly, Lambia & Thebes. Arrive Athens late afternoon. Dinner & overnight. 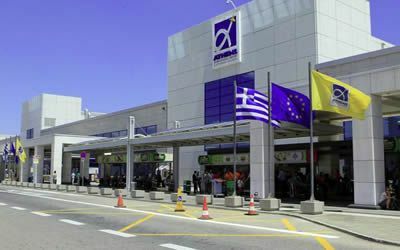 After Breakfast, a private taxi transfer will be ready and waiting to take you to Athens International airport for your return flight home. 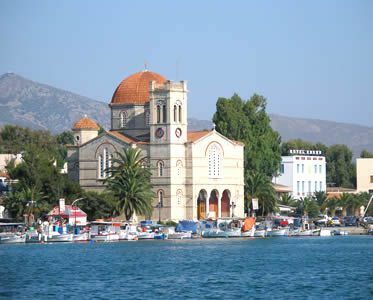 Optional One Day Saronic Island Cruise: Full day trip visiting the islands of Poros, Hydra, Aegina with lunch included. This cruise can be added to any of our tours. In some cases an extra night in Athens is required. Optional Excursion from £79 per person.